Milwaukee Brewers center fielder Carlos Gomez suffered a slight hamstring tear while trying to leg out an infield hit on Wednesday and after an examination yesterday, was place on the 15-day disabled list. Gomez will be re-evaluated next week to determine if he will be out more than 15 days. 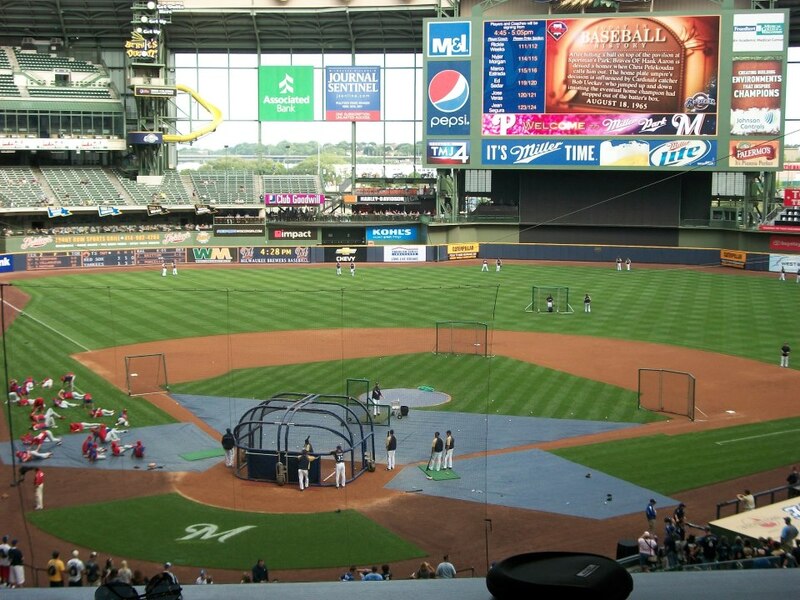 The Brewers are expected to make a corresponding player move before tonight’s game in Pittsburgh against the Pirates. Without Gomez, the Brewers will likely give time in center field to Gerardo Parra and Logan Schafer. Parra is hitting just .190, while Schafer is hitless in four trips to the plate. The Colorado Rockies put on another offensive display Tuesday night at Miller Park, pounding out 12 hits in a 5-2 win over the Milwaukee Brewers. The Rockies have 28 hits in the first two games, including 12 doubles. Brewers starter and loser Matt Garza said it appeared at times that the Rockies knew what pitch was coming. The Milwaukee Brewers’ late season slide continued on Wednesday night, falling 6-2 to the Chicago Cubs at Wrigley Field. The Cubs completed their first home sweep of the Brewers since 2004. The Brewers started the road trip with a 10-1 victory in San Diego. Since then, they’ve lost eight straight games. They were outscored 55-16 during the losing streak. They started the road trip with a 1 1/2 game lead on the St. Louis Cardinals atop the NL Central. They come home trailing the Cardinals by three games after St. Louis blanked Pittsburgh 1-0 yesterday. Matt Garza (7-8, 3.87), who had missed the last month with an oblique injury, returned to the Brewers rotation, but he allowed all six Cub runs on eight hits before departing. The Milwaukee Brewers made one deal before this afternoons (3pm) Major League Baseball trade deadline. 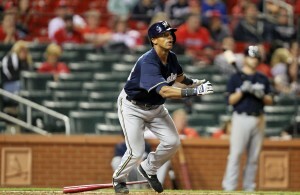 They added the left-handed hitting outfielder Gerardo Parra from the Arizona Diamondbacks. In return, the Brewers sent minor league outfielder Mitch Haniger and minor league pitcher Anthony Banda to Arizona. Parra is hitting .259 with six home runs and 30 RBI in 104 games this season. He has made 98 starts. Parra had spent his entire professional career in the Diamondbacks organization. He is a career .274 hitter. Parra is an outstanding defender, winning gold gloves in left field in 2011 and right field in 2013. Entering today, his 62 outfield assists since 2009 were tied for second with two others in the Major Leagues, trailing only the Blue Jays’ Jose Bautista (63). 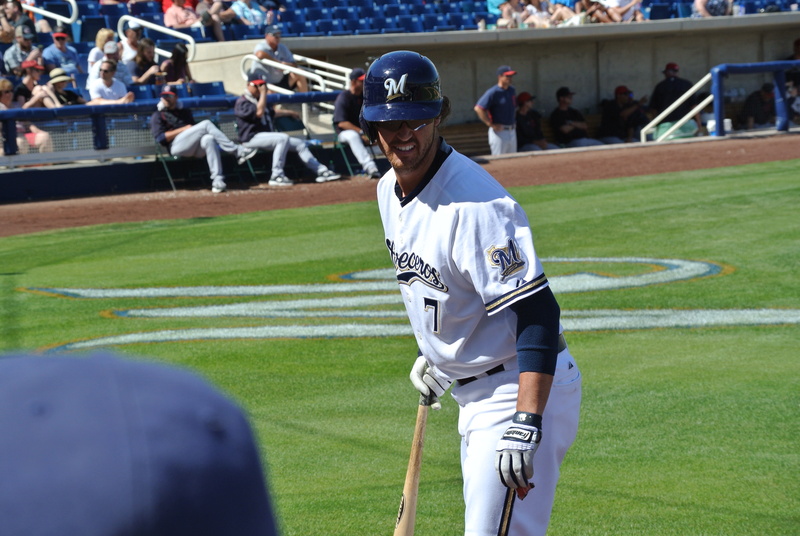 To make room on the roster, the Brewers sent outfielder Logan Schafer to Triple-A Nashville. 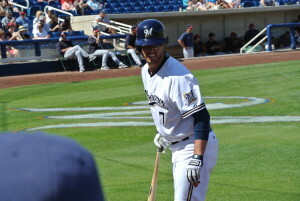 The 24-year-old Haniger was selected by the Brewers in the supplemental first round of the 2012 First-Year Player Draft. He batted .255 with 10 HR and 34 RBI in 67 games at Double-A Huntsville this season. 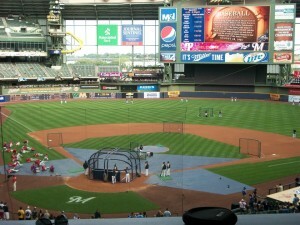 The 20-year-old Banda was selected by the Brewers in the 10th round of the 2012 draft. He was 6-6 with a 3.66 ERA and 2 saves in 20 games (14 starts) at Class-A Wisconsin this season. The Milwaukee Brewers managed just 3-hits last night and saw their 9-game win streak come to end, falling to the St. Louis Cardinals 4-0 at Miller Park. Lance Lynn and Carlos Martinez shut the Brewers lineup down, handing Milwaukee its first defeat since April 2nd. 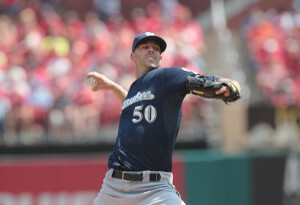 Matt Garza lost his Brewers debut 1-0 to the Atlanta Braves on that day. He took the loss last night as well, surrendering a second inning solo home run to Jhonny Peralta and a three-run blast off the bat of Jon Jay in the 6th.